Possibly one of the most challenging and never ending situations offering untold hospitality business owners headache upon headache is the problem of pest infestation. Between bugs and rodents, the battle seems never-ending for many New York restaurants, hotels, food stores, fast food joints, delis, food processing factories, and more. It doesn’t take much for the health department to make a decision that can mean the death of a restaurant over a seemingly minor infestation. But where there is a minor problem, there is likely a bigger problem. Issues like this should never be tackled by do-it-yourselfers. A professional pest control company knows the ins and outs of safe but effective methods of controlling rodents and the types of bugs most common to these kinds of situations. Why Do You Need Food and Restaurant Pest Control? As previously mentioned, the health department takes the problem of pest infestation very seriously, particularly as it applies to the hospitality industry. You can try flying under the radar once a problem is discovered but if your restaurant receives a citation and ends up shutting down, even for a short period of time, the word is bound to get out. It can take a long time to recuperate from something like that. Some establishments never do. 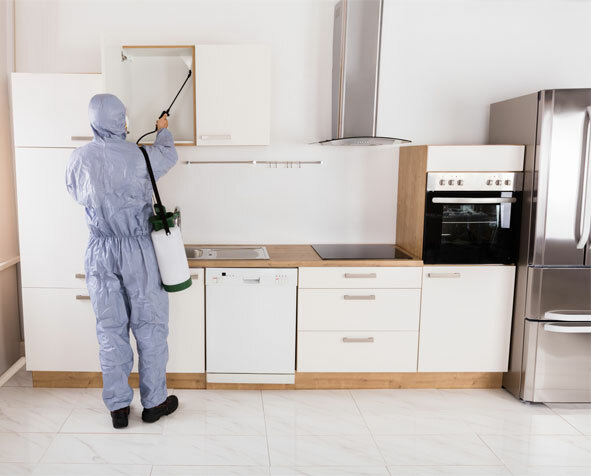 The professionals at PEST have techniques that are not only safe for the environment but highly effective against unwanted and undesirable inhabitants such as those listed above. We will evaluate the situation and not only solve the immediate problem but figure out how it happened in the first place and provide inspections on an ongoing basis to make sure the problem never comes back. Why Choose PEST for Food and Restaurant Pest Control Services? Particularly important in the hospitality business, Pest Elimination Systems Technology, Inc. supplies our clients with material safety data sheets. The health departments will want to see those, so it’s important that you keep them handy. We understand the plight of restaurants and food stores when it comes to making an area pest free and keeping it that way. Knowing full well that most of these businesses are open and operating during the day, PEST also offers nighttime hours of service by our experienced and knowledgeable technicians. We will assign a specific technician to your business, as well as a backup technician, so that they will become a familiar face, recognizable by you and your staff. Call us today at 212.945.0868 to schedule an evaluation or treatment customized for your business.